Most holidaymakers head to Georgetown, Penang to partake of its world-renowned street foods, while they savor its many interesting colonial sights and frolic on its pristine beachfronts. 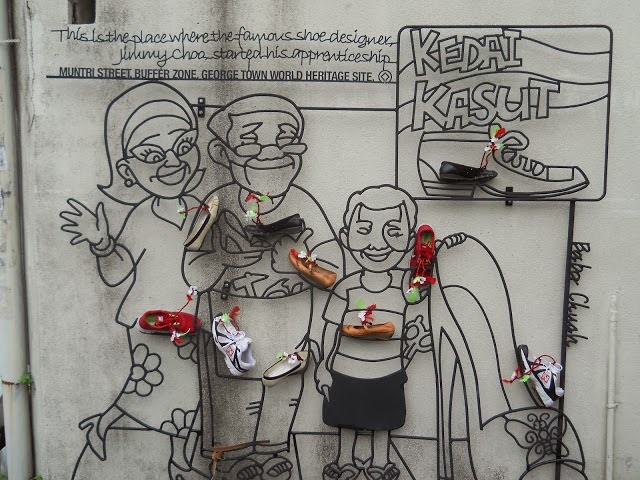 However, now Georgetown offers one more cultural attraction in the form of its many street art drawings and installations, which provide an insight to the colorful character of the city. 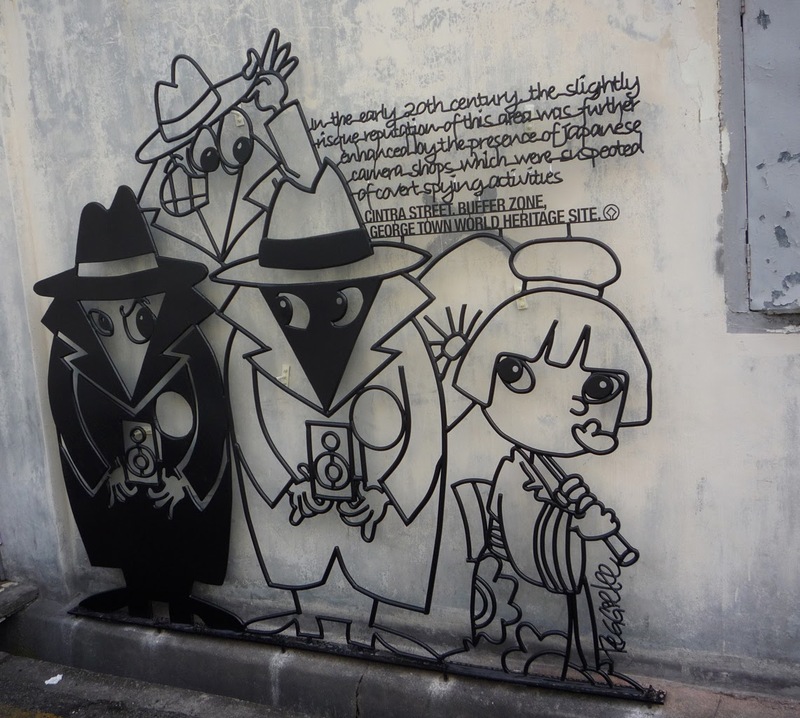 The origin of Georgetown’s vivacious street art scene dates back to the year 2009 and the inscription of the city as a World Heritage Site. To celebrate this event, an initiative known as ‘Marking Georgetown’ was launched. 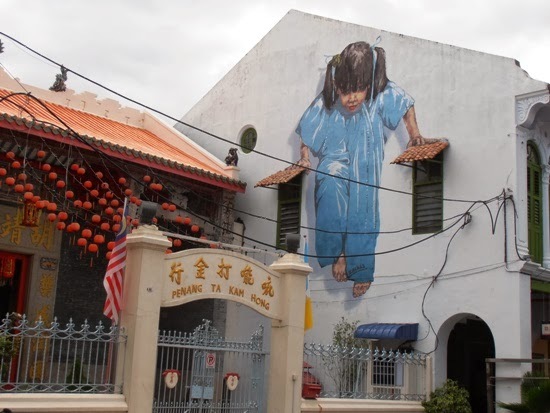 This project featured the work of various local cartoonists like Tang Mun Kian and Baba Chuah, who drew inspiration for their quirky, amusing caricatures from the streets and native communities of Georgetown. A local company called Sculpture at Work, created steel-rod sculptures of these caricatures and installed them at various locations all over the city. These installations proved an instant hit with the locals and visitors alike. 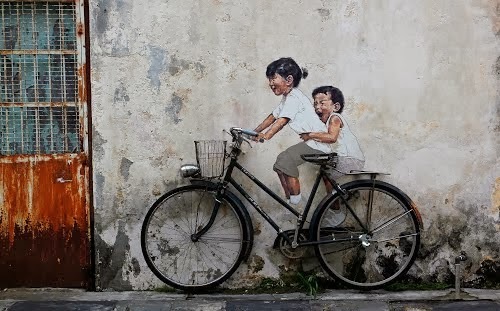 Georgetown’s street art culture was given another boost during the 2012 George Town Festival celebrations, when London-trained Lithunian artist Ernest Zacharevic was commissioned to adorn the walls of the inner city with a series of murals titled ‘Mirrors George Town’. Local, self-taught artist, Louis Gan, has since carried on with this project and continues to contribute his own works to the collection. Today this vibrant collection of street art in Georgetown is considered a major draw along with the city’s other attractions. So much so, that stores and hotels hand out maps to visitors listing the locations of the 30 odd street art installations littered around the city of Georgetown. When visiting Georgetown, you can either choose to set off on this street art trail on your own or then hire a local rickshaw driver for a street art tour. Rickshaw street art tours of Georgetown are typically priced around 10 ringgit (3.12 USD). These tours traverse the main sights in Georgetown, as they lead visitors to the many installations some of which are located in areas not usually visited by tourists. Google maps offer a mapping of these street art installations, if at all you do want to venture out on your own.